Yep, it’s that time of year again -- the awards season is starting. And what better way to start things off than with the award for the most vicious book review? 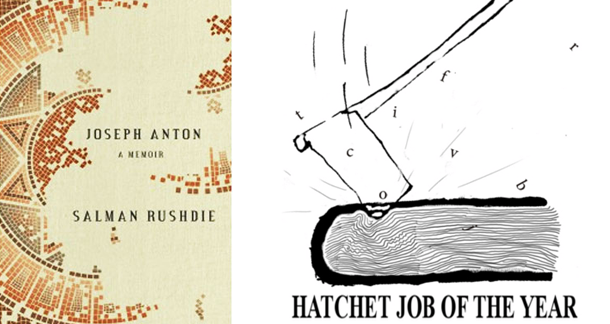 Founded by website The Omnivore, the Hatchet Job of the Year award is given to the writer who pens the “angriest, funniest, most trenchant book review of the past 12 months”. The final chapter is an out-of-body experience — her situation seen through the eyes of her pill-popping Eastern European au pair. Oddly, I read the whole thing in a Bulgarian accent. The Omnivore says by giving the award, which it started last year, “It aims to raise the profile of professional critics and to promote integrity and wit in literary journalism.” – something of a lost art in the era where anyone can type a poorly-written review on the internet. Oh, and the winner gets a year’s supply of potted shrimp. Sadly, the award is only given to reviews in UK newspapers or magazines. I’m sure there’s scope for expanding it. What do you think?